As part of the latest release, we have expanded SciVal’s popular reporting functionality to the Overview module. You are now able to add graphical representations (such as tables and charts) of authors, countries, institutions etc. to your reports, via the Overview module. Previously, this functionality was only available in the Benchmarking module. You are also able to add a burst of color with the “Overall Research Performance” pie chart, which provides a breakdown of the various subject areas in which your institution is the most prolific. NB. For tables with more than 500 entities, only the first 500 entities, as per their sorting selection, will be added to the reporting library to optimize the generation and the visualization of the report viewing. The complete list can be obtained by exporting the report as a spreadsheet file (csv or excel). Fig. 1 What are your Performance Indicators? 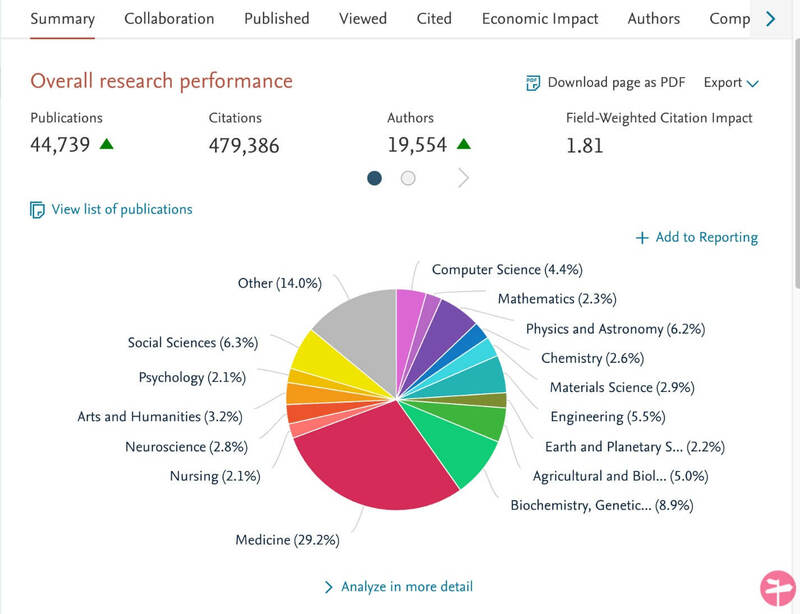 You can now import an overview of your institution’s top publications both locally and globally. Fig. 2 Who are you collaborating with? 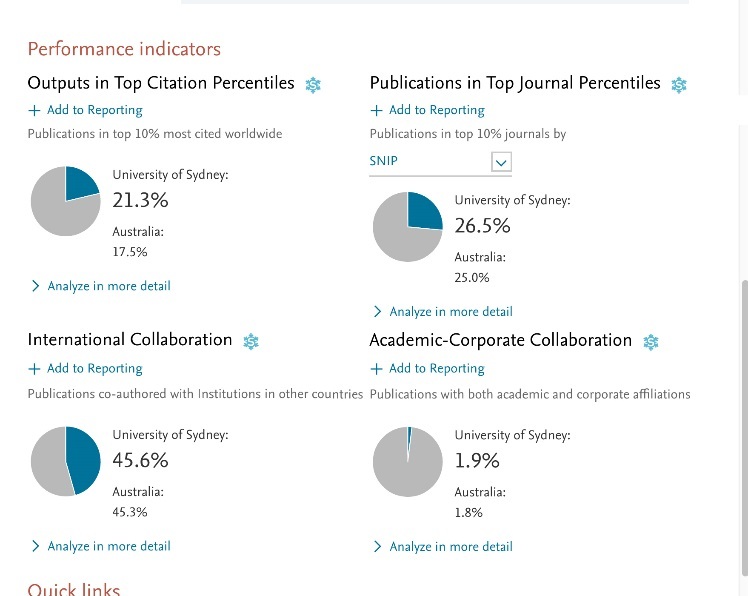 Look at the percentage international vs national collaboration of your institute publications and add them to your next Report. Fig 3. Add your Overall Research Performance The pie chart provides a simple visual of your institution’s research capabilities – add this to your next Report!